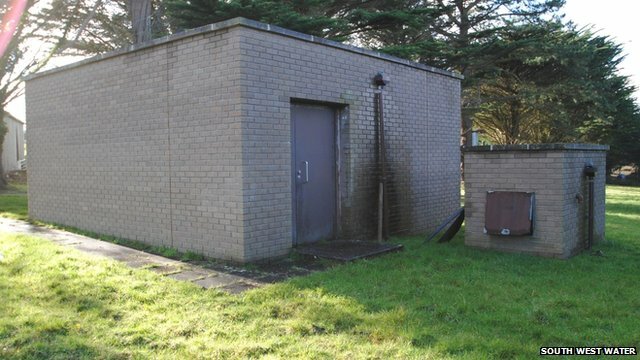 A hidden underground Cold War Bunker near Newquay is being offered for sale by South West Water (SWW). SWW said it was part of a secret emergency centre built in 1978, to protect essential water and sewerage operations in a nuclear war. It includes several blast proof doors, an air lock, decontamination room, dining room and two dormitories. The 3,000 sq ft (279 sq m) bunker, designed for 16 people, and centre above has a guide price of Â£50,000. It'll sell in a second for that price. Can't find it on Subbrit, although there are references. Looks like there's still some stuff in there as well. They showed it on the news and it looked the same as that one near Swindon. Yea Gene was still in there as well. Bit of a drive but might try and check it out when the times right.